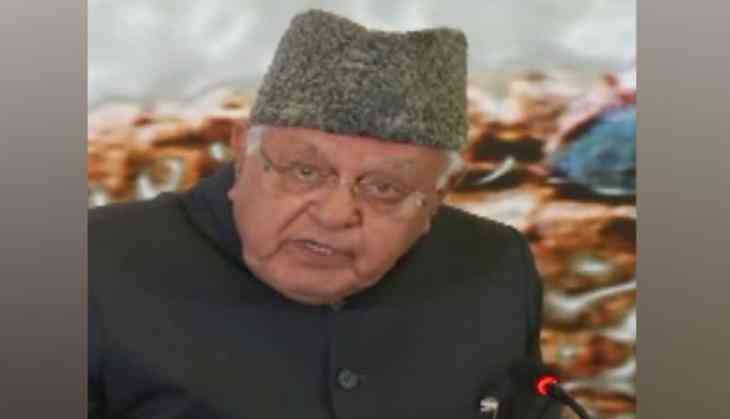 Raking up another controversy, National Conference president Farooq Abdullah has said that India was equally responsible for the tragedies in Pakistan. Addressing mediapersons on Sunday, the former chief minister of Jammu and Kashmir said, "Our neighbour has its own hates. They think we have divided Pakistan by taking Bangladesh. We were not dividers. The tragedy was in the country itself. It was not our creation. That is the tragedy we still face. And don't say we are not involved in their tragedy. As much as they are involved in our tragedy, we are also involved in their tragedies. It's not one-sided." Recalling a statement by former Prime Minister Atal Bihari Vajpayee, he called upon the current Indian leadership to build a bridge between India and Pakistan. "I still remember Vajpayee's word that he made at the border in Pakistan. He said friends can be changed, neighbours cannot be changed. You can either live in peace and progress with neighbours or live in enmity and harm each other which will not be of any good. I would like to say the same thing to present Prime Minister, let us build bridges," he added. Meanwhile, Abdullah also stressed on the two countries to come together to combat terrorism. "National Security Advisers of India and Pakistan have met in Bangkok. If there is terrorism, then it is necessary that both the countries (India and Pakistan) meet together and discuss over this issue," he said.